Absolutely FREE and easy to use STL file viewer! Stl file format is used in stereolithography CAD software created by 3D Systems. This format is supported by software for rapid prototyping, 3D printing and computer aided manufacturing. Stl file stores information about 3D models. 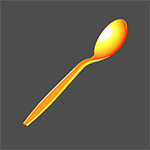 It describes only surface greometry of the 3D objects without representing texture, color or other model attributes. Stl file format approximates the surface of 3D model using triangles. This process of tilling a flat surface with one or more geometric shapes without overlapping and gaps is called "Tassellation". Because of this process Stl is also reffered as "Standard Triangle Language" or "Standard Tessellation Language". Most common use of Stl files is in 3D printing. That is proccess where material is joined or solidified under computer control to create 3D object with adding material together layer by layer. 3D printers are stereolithography machines that can build any volume shape as series of slices. How to open STL files? 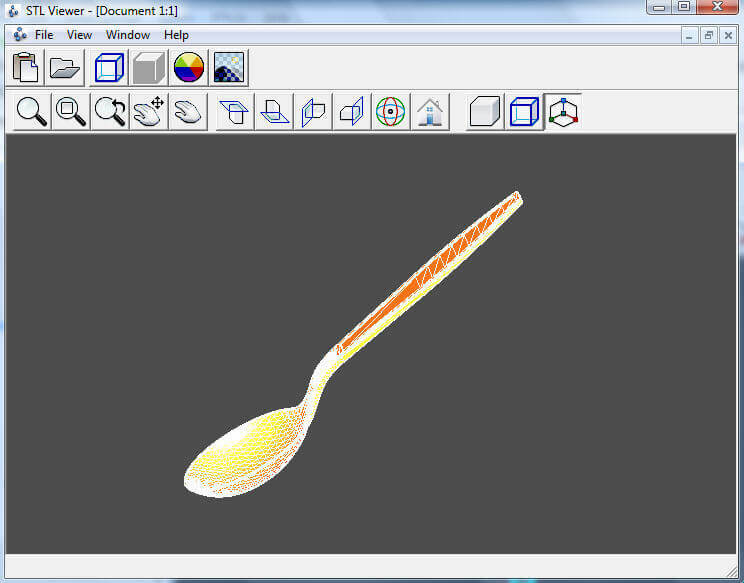 There are few softwares that can handle STL data. Many of them are not free for use and are not user-friendly. STL Viewer is a professional Windows application for viewing CAD models created or exported in STL (STereoLithography) file format from 3D systems. The viewer boast a very user-friendly interface for non-technical users, while providing full range of tools for navigation and analyzing 3D objects. Viewing stereolithography file is easy with STL Viewer. 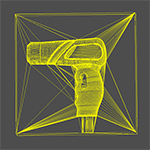 This viewer offers the most of the known commands used in 3D viewers like zooming, panning, changing projections (camera) modes, change draw stile from shade to solid or wireframe. Unique functionality of STL Viewer is ability to changing color of wireframes or shade 3D objects and makes them look more beautiful. In our Tutorial section, you can check detailed information about all functions and features of Stl Viewer. Download our absolutely free STL Viewer, and easily open 3D STereoLithography files (*.stl). Dynamic zooming from toolbox or with mouse. You can zoom the 3D object using application shortcuts or toolbox. 2D view in all 4 sides of 3D object. Frontal, bottom and side views of the object can be viewed simply bu clicking on toolbox options. Dynamic rotation by toolbox or with pressing and hold middle mouse button. By clicking mouse middle button will be added a red dot that will be the center for object rotation. Adding shade of the 3D object and change color of the skin. You can add shade of the 3D object skin and also change shade color from color selector. View only wireframe and change color of the lines. Object will be rendered as wireframe. All key features and functionalities are explained in our Tutorial section. Why do you need a STL Viewer? When you open 3D object (STL files) you need speed and good interface to view every detail in that 3D object. With STL Viewer you are able to see every part of the 3D object, from all sides of the objects. With ability to add shade-skin, you can see every part how should/will look like in real. Dynamic rotation will allows you to rotate the object to to see every detail in every side of the 3D object. 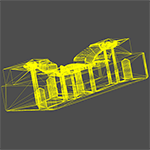 With wireframe and rotating in the same time you can see all elements that created 3D object as one whole. Zooming options will let you zoom 3D object on specific part. Also there is option to view object in 2D drawing. You can view frontal, bottom or left/right side view simply by clicking options button in viewer toolbar. At last, you can reset all these options and view the starting position of 3D object as was opened. To experiece STL Viewer user interface and features that are implemented in this viewer, you can download free STL example files that are provided. Click on the images above to download free stl example file. Supported Operating Systems: Windows Server 2003; Windows Server 2008; Windows XP; Windows Vista; Windows 7; Windows RT; Windows 8; Windows 8.1. 3D Object comes in many different file formats. IdeaMK have created two more absolutely FREE viewers. STP Viewer for opening and view STP files (STEP file) and IGS Viewer for opening and view IGS file (IGES file). © Copyright 2005-2019 IdeaMK. All Rights Reserved.